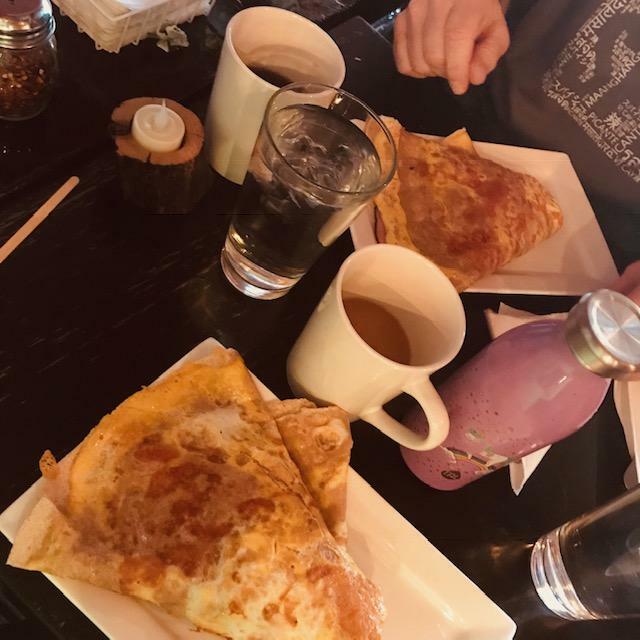 My husband and I had a celebratory anniversary breakfast at the new Nomad Coffee and Crepes on Milton Avenue in Ballston Spa last week. It was serendipitous as we were planning on going to another great breakfast place (Iron Roost) down the block, but it is closed on Mondays. It worked out well because a local business owner had suggested I check out Nomad Café. It was on my brunch radar. 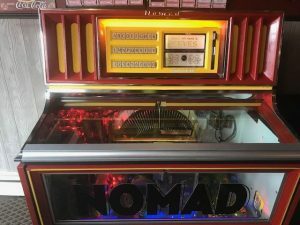 Nomad is a cozy intimate café with cute bar stools and a 1980s jukebox. Nick, the co-owner of the café, greeted us right away, gave us menus and made us feel welcome. “Just so you know, the jukebox is free,” he told us. So many good 70s and 80s songs to choose from, I settled on the Go-Go’s We Got the Beat, and then realized the solo dude sitting by the window was probably looking for peace and quiet with his latte. Oops. Well, he was cool with it. Then my husband selected, “It’s Over” by Boz Scaggs. What kind of romantic message is that? I was craving a savory breakfast, and we ordered two breton galette. 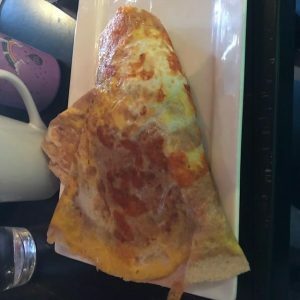 We were both expecting something dainty, but we were happily surprised with a hearty whole wheat crepe that had a fried egg kind of folded into the cheddar cheese. It was filling, and the coffee was good and bold. Nick said they were very busy for New Year’s Eve. (Nomad doubles as a bar in the evenings). 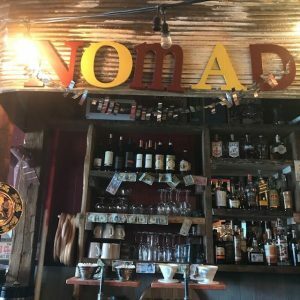 I’d highly recommend Nomad Coffee and Crepes if you are in Ballston Spa, and looking for a fun place to hang out, listen to a few nostalgic tunes and get a yummy crepe. Next time I go in I will try out a sweet crepe.